The fabrics in the post were generously given to me by Northcott Fabrics. I chose Northcott fabrics from the Sew Musical Row by Row Palette 2018. When I choose my fabrics from Northcott, I get so excited when they are delivered. As soon as I touch the fabric, I feel the quality. These colors are luscious with just enough texture to give depth and interest. 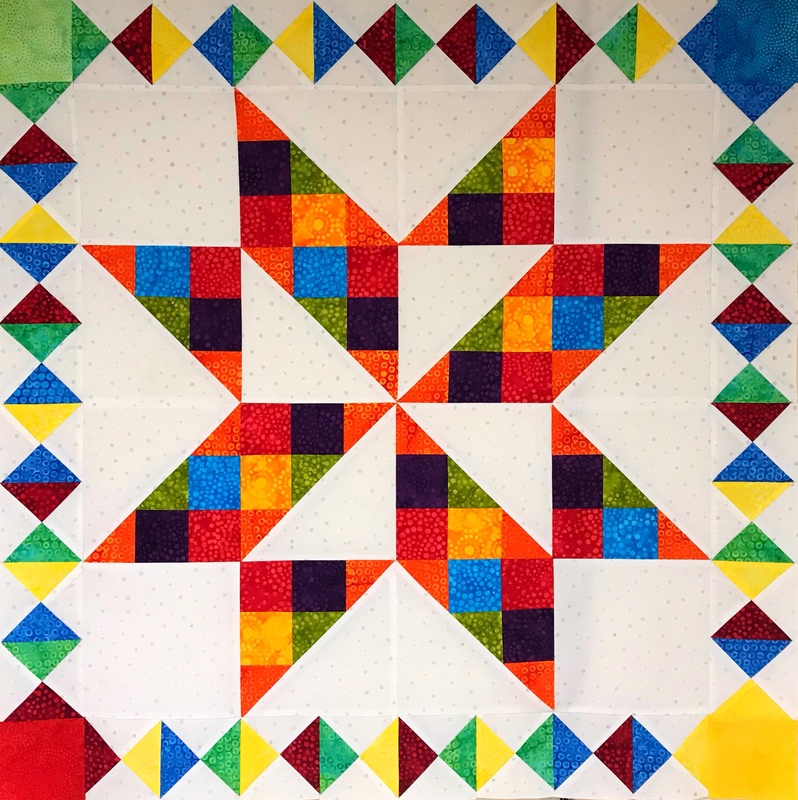 Crossfire is a Studio 180 Design pattern designed by talented Certified Instructor Sarah Furrer. It is a companion pattern for the Large Square/Squared tool. 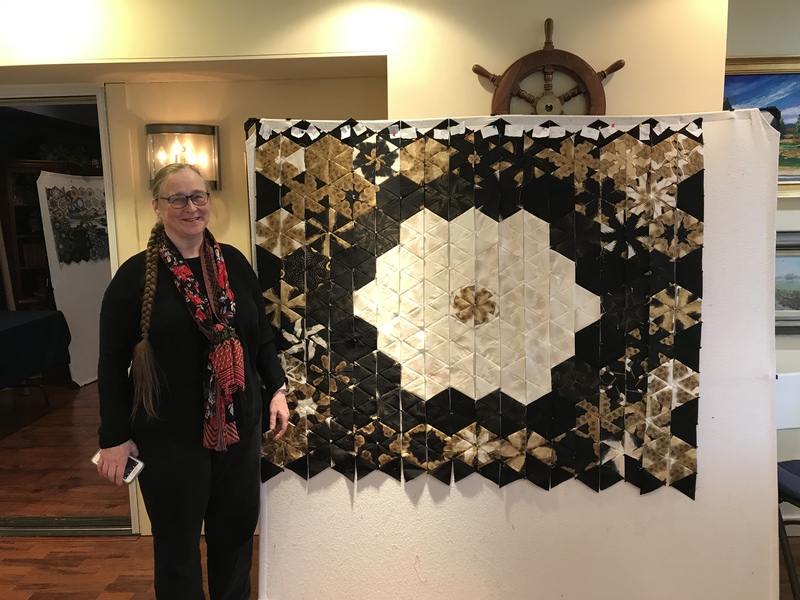 The block featured in this quilt is called “Bird of Paradise”. 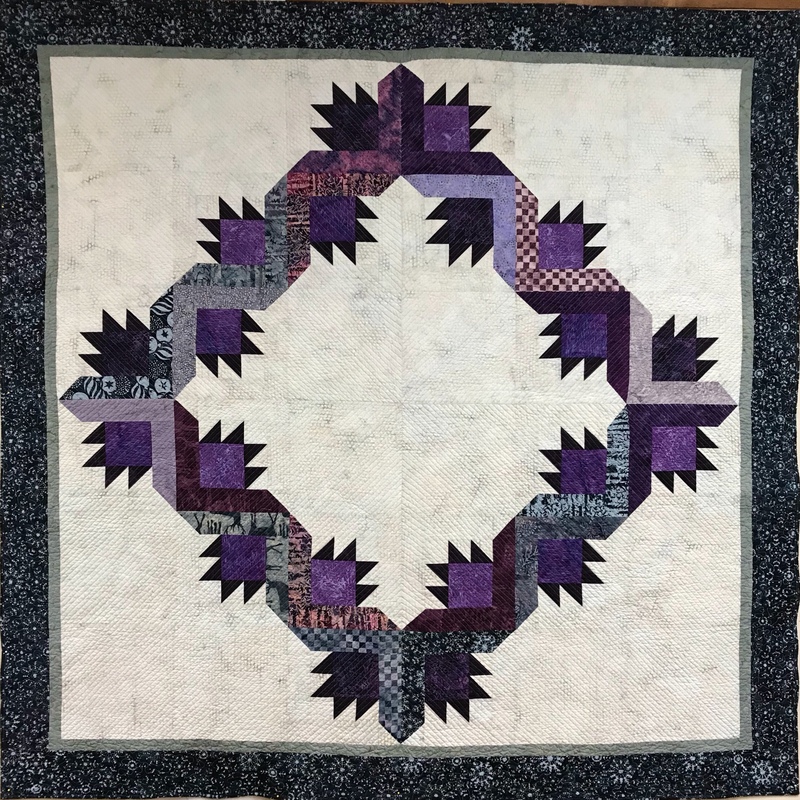 The pattern describes this quilt as “whirling stars with accents and chains of black and grey. A new fun variation of a Flying Goose makes for a star with loads more sparkle”, and it does. If you follow me, you know I love to organize my quilt making process by labeling paper plates for my block pieces as I cut them out. I never get lost or forget what the pieces are for. All my block pieces are cut and ready to put together. Beautiful, perfectly trimmed units leaving a 1/4″ seam allowance, so I will not lose my points. After all…no one wants to be pointless! Next, we make half square triangles and perfectly trim them using our Large Square/Squared tool. Lay out your trimmed half square triangles and the and two white triangles as shown. Work with one triangle at a time, stitch & carefully press toward the white triangle as not to distort the shape. Laying Out the Blocks: Pay close attention to Step 10. Split your pieced geese into two piles of four. Lay out your side triangles so that on one pile you have four Color 1 side triangles on the right side & four Color 2 side triangles on the left side. The other pile will have four Color 2 side triangles on the right side & four Color 1 side triangles on the left side. 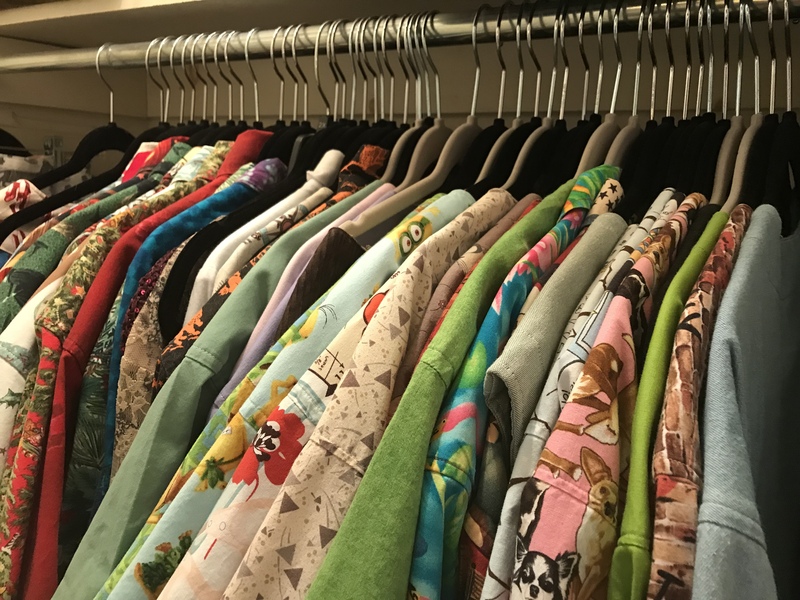 If you lay them as I did above for every color combination, you will be fine. It is very important to pay attention to Step 11: Position the right side triangle so that Color 1 shows a bit beyond the white along the top edge. Stitch and press toward the side triangle. Trim the units according to pattern instructions and put your blocks together. Crossfire is a fun, skill expanding pattern. Finished quilt measures 60″ x 84″. 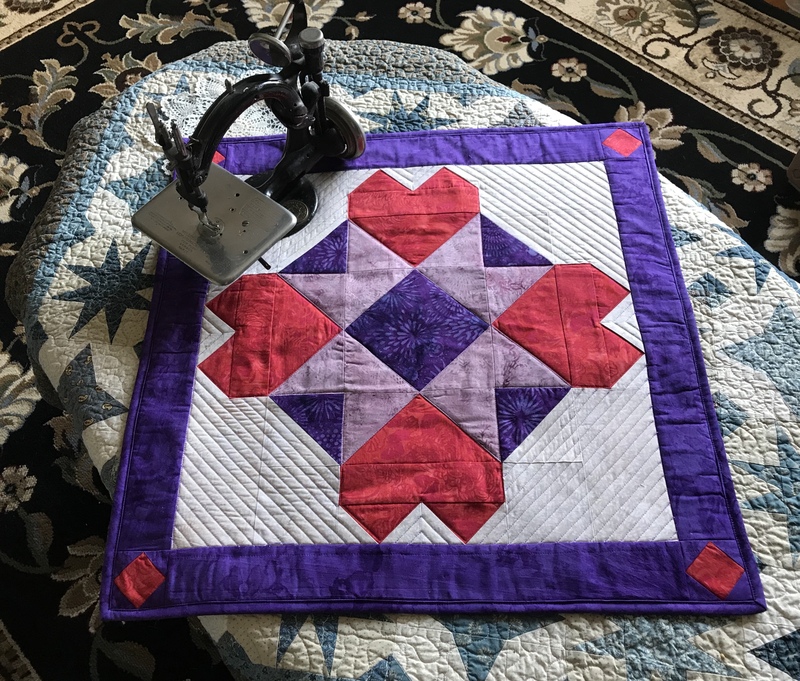 This entry was posted in Northcott Creator's Club, Studio 180 Design, Studio 180 Design Tools and tagged Deb Tucker, Large Square Squared, Northcott Creator's Club, Northcott Fabrics, quilting, Quilts, Sew Musical Row By Row, Studio 180 Design on June 25, 2018 by ifthesethreadscouldtalk. The fabrics featured in this post were given to me by Northcott. I have been chosen to participate in Northcott’s Creative Club. If you have not used Northcott fabrics before you will be pleasantly surprised. Just like their logo says “Cottons that feel like Silk”! 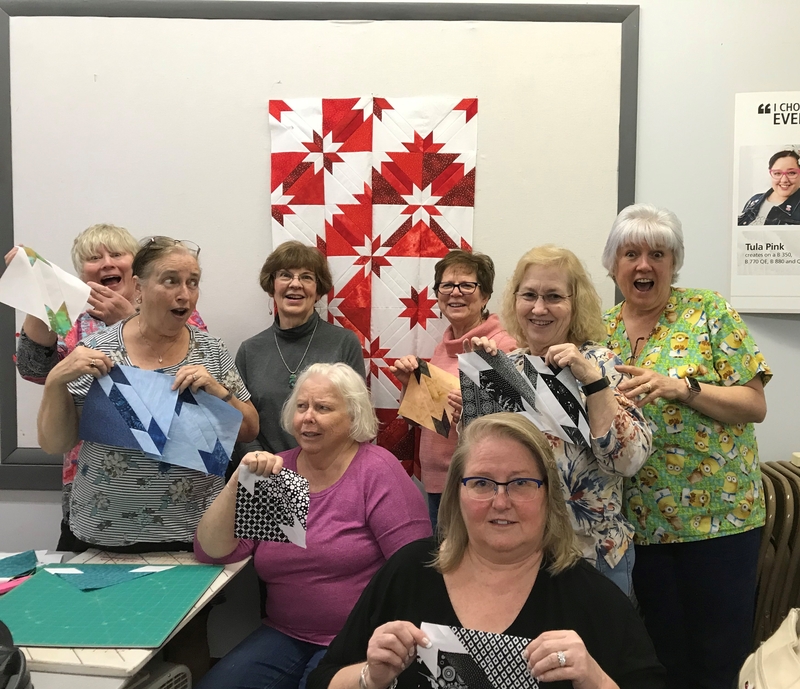 I chose to make Prism, a pattern created by Pam Goggans of Sager Creek Quilts. 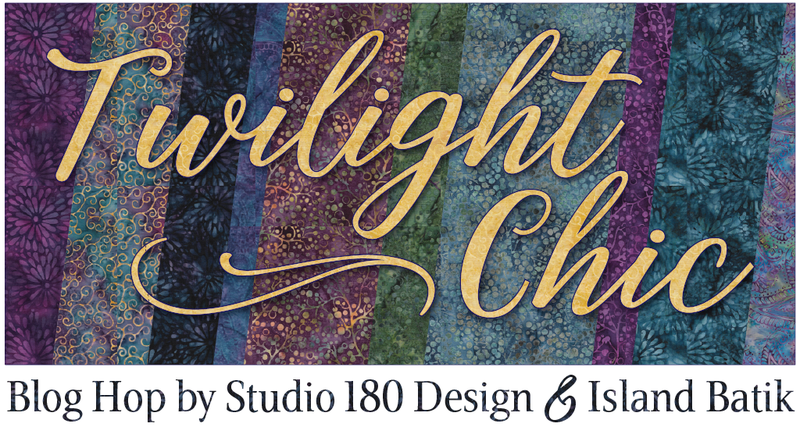 Prism is a companion pattern for the Studio 180 Design Split Rects Tool. One of my favorite Disney movies is “Pollyanna”. Remember this scene when they discover “rainbow makers”? I do, and that is the inspiration for my version of Prism. My fabrics are from Artisan Spirit Shimmer By Deborah Edwards Northcott Studio. Aren’t they just yummy, looks like a rainbow to me! I am a purveyor of paper plates! I use them to stay organized throughout the quilt making process. I cut everything out but the borders (I save that till the end so I can verify my measurements) and place them on their labeled paper plate. I can stack them up in a tub or place them in gallon size storage bags when I’m not working on them. To make mirror image split rects units, lay the fabric strip “right sides together OR wrong sides together. Position the ruler on the strip with the broad black line against the trimmed end of the strip and the desired finished size guide and trim along the slanted edge. For the second cut, rotate the tool one half turn and align the small second trim “nub” line on the long edge of the strip and the “Second Trim” guide along the just-trimmed edge. Trim along the straight edge of the tool. I am right handed, so my strips are placed horizontally and I cut from left to right. Left hander’s would place their strips vertically. See tool instructions for complete left handed cutting. Continue to cut all the pieces for the split rects units. Lay out the pieces as they will be stitched together. Stitch the elongated triangles by placing them right sides together with the long, bias edge of the pieces aligned. Center the two pieces with just a bit of overlap at the ends. Press the seams either toward the darker fabric or open. As you can see I press mine open. Align either the “Common Diagonal” or the “Size Diagonal” with the seam you have sewn. These will vary depending on the slant of the seam in your unit. Check to make sure that the fabric unit is completely contained within the trim down lines. For right hander’s trim up the side and across the top. Rotate the unit and reposition the tool on top. Align the correct “Cut Size” measurement with the trimmed corner and the same diagonal line used in the first trim. Trim the remaining two edges of the unit. Above I have laid out my trimmed mirror image split rects units. After trimming the split rects units to the correct “Cut Size” choose 24 mirror image units to make special Double Split Rects! According to pattern instructions trim away the excess of the colored triangle. Make sure to position the left leaning units right side up and the right leaning units right side down. Using the Split Rects Tool, cut triangles from the accent fabric according to pattern instructions. Lay out the trimmed units and the replacement triangles. Stitch the dark triangles to the trimmed units. I press my seams open. Trim as before. Place right leaning unit right side up and left leaning unit wrong side up. I laid out my units on the design wall, and then I noticed two units were missing! Tucker my Chihuahua decided I had ignored her long enough. This is her way getting my attention. I found the units upstairs by a guilty grinning Tucker! I stitched the units for the quilt center together and then added the borders. 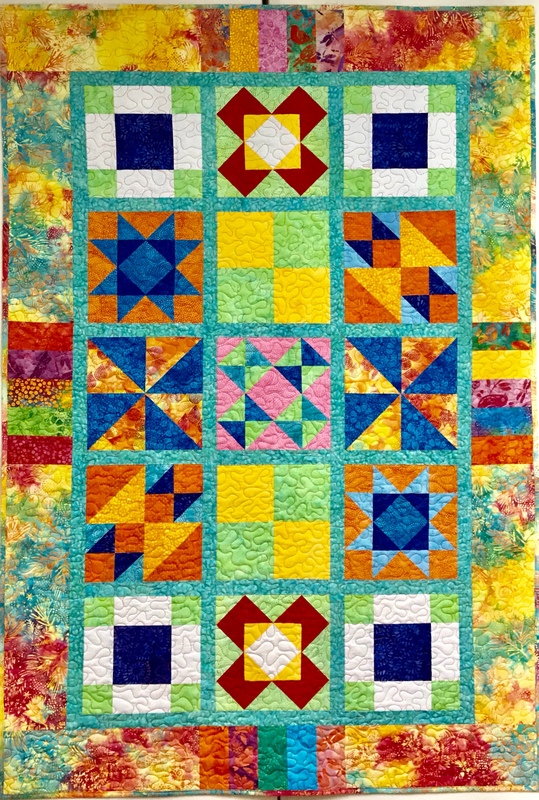 The secret to this quilt is to use your best accurate 1/4″ seam! The Northcott Artisan Spirit Shimmer fabric line was perfect for this quilt! I love it! Even the quilt back is beautiful Northcott fabric! 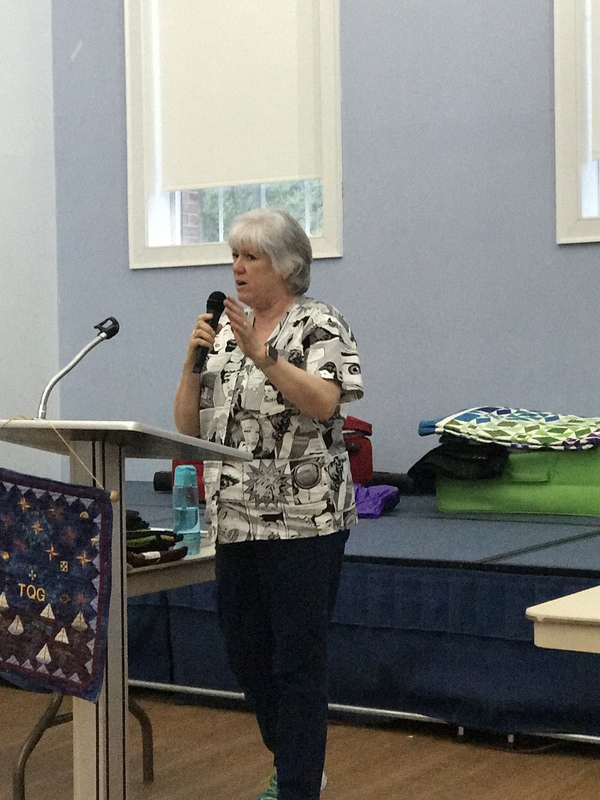 I used Quilter’s Dream Blend Batting, and I do all my piecing with Aurifil thread! 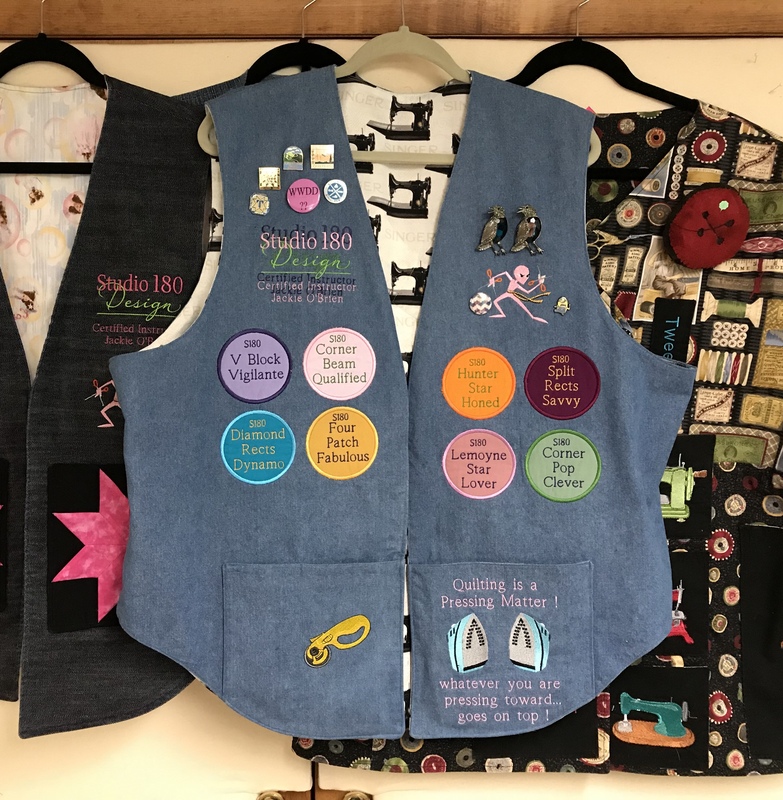 This entry was posted in Northcott Creator's Club, Split Rects, Studio 180 Design, Studio 180 Design Tools and tagged Artisan Spirit Shimmer Fabric, Deb Tucker, Northcott Creator's Club, Northcott Fabrics, Prism, quilting, Quilts, Sager Creek Quilts, Studio 180 Design on April 10, 2018 by ifthesethreadscouldtalk.